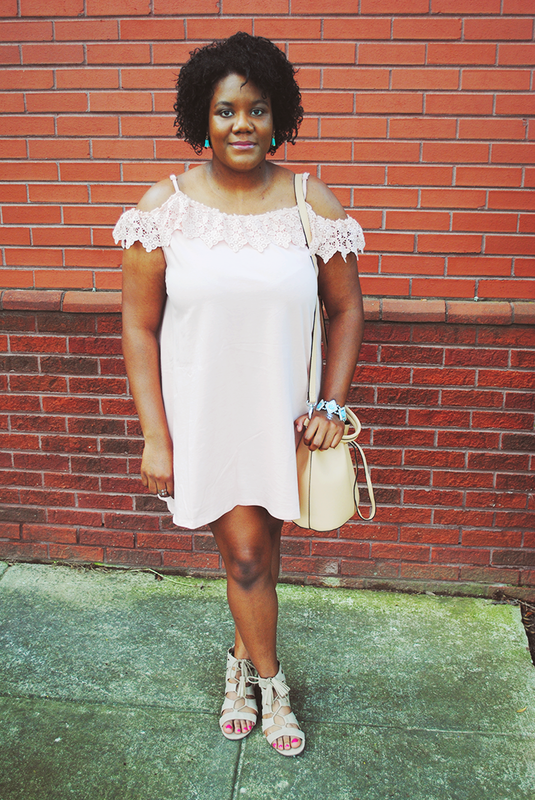 I never thought I would be a huge fan of the super popular cold shoulder/off shoulder trend for myself. I always felt that it looked amazing on other people and I applauded their courage for wearing it. 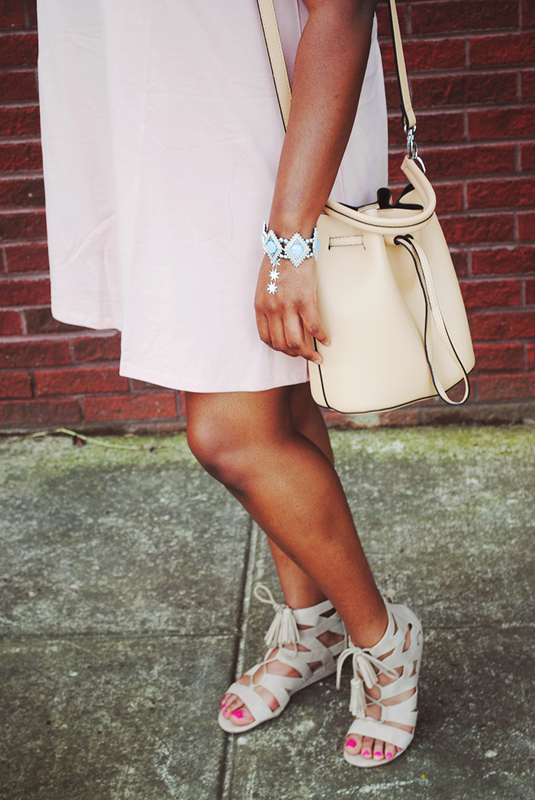 That was until this beautiful blush number came into my life. 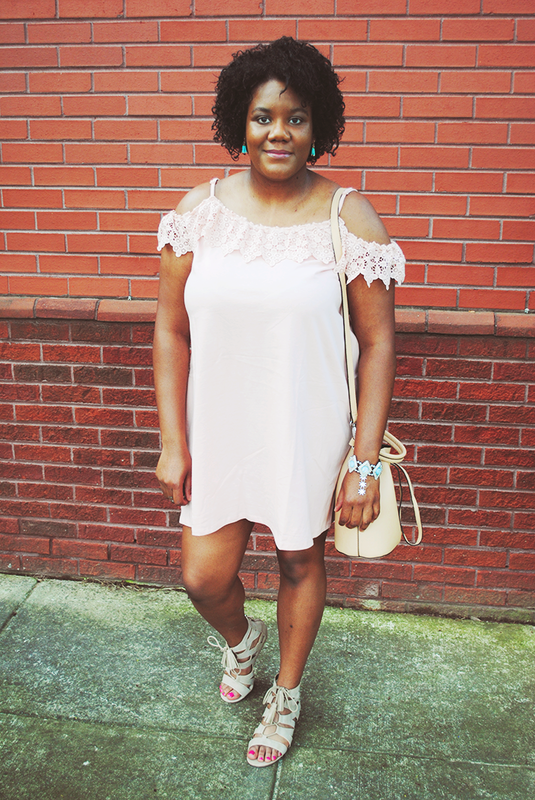 This cute little cold shoulder dress from ASOS is my new go-to for when I need to leave the house in a hurry. I told you guys in my latest Currently post that I was beyond obsessed with one of the 2016 Pantone Colors of the Year - Rose Quartz. I don't know what it is about this color, but I am loving it! 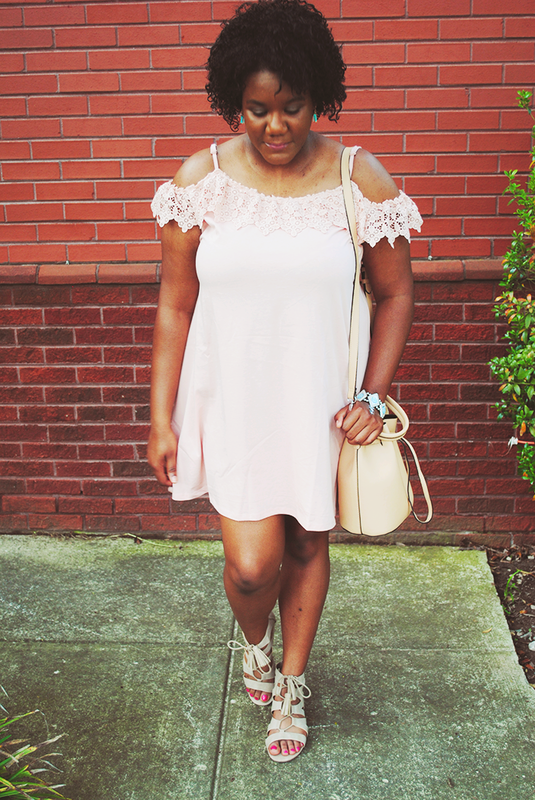 Cold shoulder, Rose Quartz, tassels, lace up, metallic tattoos, bucket bags...Is there a spring trend that I haven't covered in this post? I feel like this post is all about trying new trends. 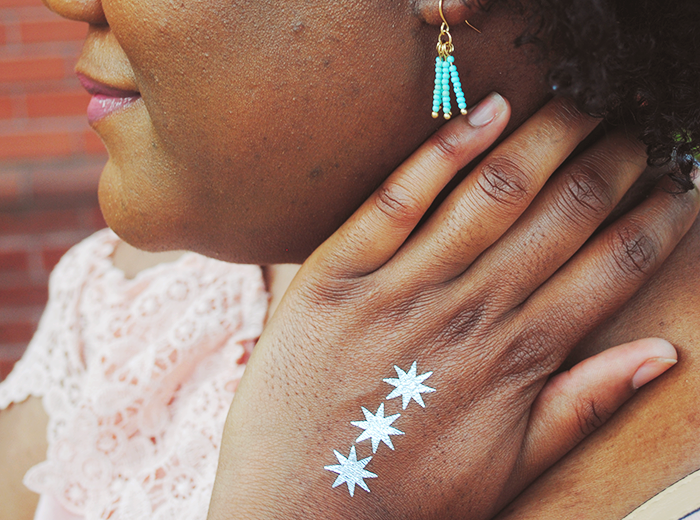 When I first spotted this dress I thought it would look amazing with this turquoise bracelet and earrings. I'm so glad I pulled the trigger on all three pieces because I've been wearing them nonstop. I love pops of turquoise this time of year because it just looks amazing with all the spring colors: salmon, navy, white, the list is endless! 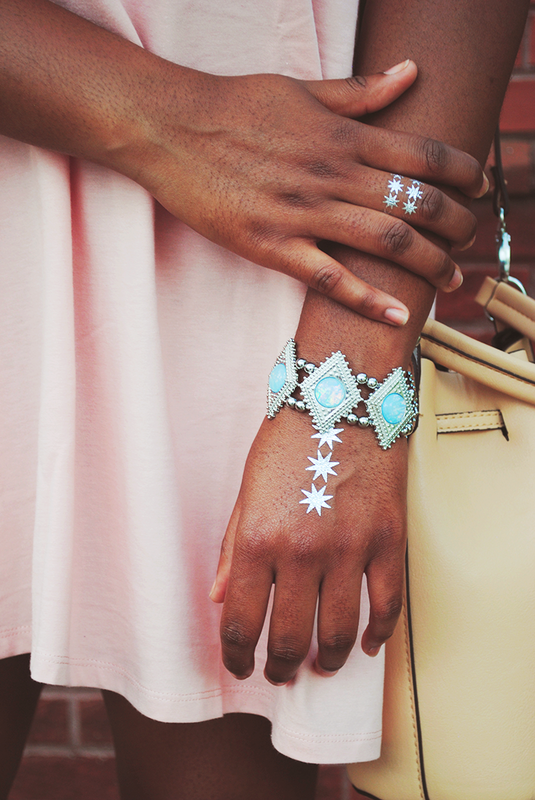 What are some of your favorite spring trends? Let me know in the comments below!